On 19th Ramadan, UAE will celebrate the annual Zayed Humanitarian Work Day, which will coincide with the anniversary of the death of the late Sheikh Zayed bin Sultan Al Nahyan … reports Asian Lite News. 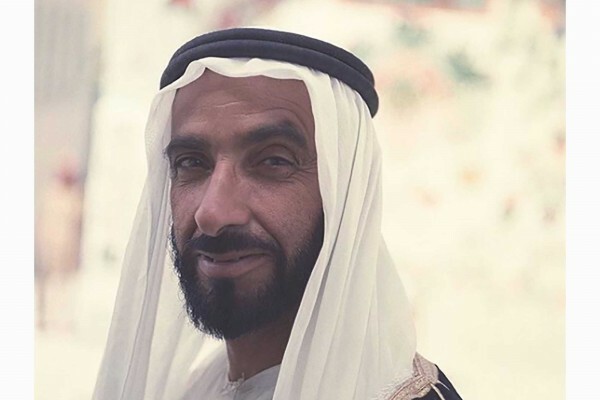 Today, the UAE will celebrate the annual Zayed Humanitarian Work Day on 19th Ramadan, which will coincide with the anniversary of the death of the late Sheikh Zayed bin Sultan Al Nahyan. This year’s celebrations will witness the launch of important humanitarian and charity initiatives, through thousands of government and community events organised by public, private and non-governmental organisations. Sheikh Zayed prioritised local and international humanitarian and charity issues, and the amount of aid provided by the UAE till the end of 2000, as per his directives, totalled over AED98 billion, in the form of grants, loans and assistance. The Sheikh Zayed Suburb Project in Jerusalem, worth nearly AED15 million, is one of Sheikh Zayed’s critical projects in Palestine. 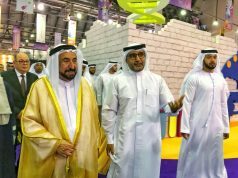 His other projects include the reconstruction of Jenin Camp, which cost around AED100 million, as well as the construction of Sheikh Zayed City in Gaza at the cost of AED220 million, Sheikh Khalifa City in Rafah, and the Emirati neighbourhood in Khan Younis. He also launched many hospitals, schools, health centres and centres for the disabled in Palestinian villages, camps and cities, in both Gaza and the West Bank. The Gulf is in the heart In 1981, Sheikh Zayed chaired the summit that declared the birth of the Gulf Cooperation Council, GCC, while the Abu Dhabi Fund for Development provided loans to Bahrain worth AED160 million, to fund energy and industrial projects. In 1972, Sheikh Zayed helped Yemen by launching San’aa Radio, and in 1974, he presented an additional amount of US$1.71 million to maintain television and radio projects. Under Sheikh Zayed’s directives, the UAE provided emergency aid worth $3 million to Yemen to reduce the effects of floods in the 1990s. Sheikh Zayed’s directives had a significant impact on Egypt, where he established numerous projects, including the construction of tourist and residential villages and cities, cultivating agricultural land, and providing financial support to medical centres and hospitals. Following the October 1973 War, Sheikh Zayed covered the expenses of the rebuilding of the Suez, Ismailia and Port Said, which were destroyed by the Israeli attack in 1967. During his participation in the historic international celebrations in Aswan in 1990, Sheikh Zayed donated $20 million to revive the ancient library in Alexandria. Sheikh Zayed aimed to strengthen the ties between the UAE and Morocco, by launching many initiatives and projects that carry his name. These projects include the Sheikh Zayed Treatment Institution and the Mariam Children’s Centre, as well as the construction of integrated residential units. In 1976, the Abu Dhabi Fund for Development provided a loan of AED40 million to the Ministry of Islamic Affairs and Endowments of Morocco. Sheikh Zayed provided generous aid to Sudan and donated BHD50,000 to establish the medical college and Nasser Hospital in Wad Madani. He also gave US$3 million to combat the effects of drought in Sudan. The Abu Dhabi Fund for Development also provided a loan of AED5.16 million towards a rural development project in Darfur, in western Sudan. In 1999, a second relief plane with 40 tonnes of food aid arrived in Khartoum, to help those affected by floods that swept through the Sudanese state of Dongola. Sheikh Zayed was keen to help Lebanon, via a demining initiative in Lebanon’s south that was conducted at his expense. He also wanted the UAE to play a leading role in the rebuilding process in Lebanon after the war, and the country provided financial assistance, grants and loans to key development projects. During the era of Sheikh Zayed, the UAE supported charity and development projects in Syria, and the Abu Dhabi Fund for Arab Economic Development signed three agreements in Damascus to fund three industrial projects, worth AED911 million. In Pakistan, the cities of Karachi, Lahore and Peshawar are home to three Islamic centres that were established by Sheikh Zayed to promote Islamic and Arab culture among Pakistanis. He also contributed to the paving and widening of the mountain road in Kharan, the construction of the Dali Mosque, the digging of water wells, and the launching of schools and houses. Sheikh Zayed donated $500,000 in 1982 to establish the Islamic Chamber for Commerce and Industry in Karachi and provided medical aid, scholarships and urgent assistance to earthquake and flood victims. Emirati charity projects during the era of Sheikh Zayed were not limited to Arab and Islamic countries, and they also covered the developed world. In 1992, the UAE donated $5 million to the United States, US, Disaster Relief Fund, to help the victims of Hurricane Andrew that hit the state of Florida. Sheikh Zayed also supported Bosnia and Herzegovina. On 26th April 1993, he provided the country with $10 million to rescue its people from their tragic conditions. 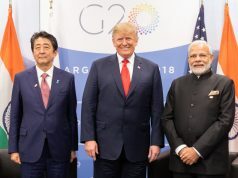 He also ordered the shipment of relief aid that included food and medical assistance, and he instructed UAE hospitals to receive injured people for treatment while covering the accommodation expenses of dozens of families in fully equipped apartments and providing them with job opportunities. In May 1990, an agreement was signed to establish an Islamic printing house in the Chinese capital, Beijing, through an AED3.1 million grant from Sheikh Zayed to support Chinese Muslims. He also donated $500,000 to support the UAE-China Friendship Association. In 1999, under the directives of Sheikh Zayed, a relief plane flew to Greece from Abu Dhabi to help those affected by an earthquake that hit the country. In 2000, under the directives of Sheikh Zayed, the Emirates Red Crescent, ERC, distributed meat to refugees from Chechnya in Ingushetia. The Zayed bin Sultan Al Nahyan Charitable and Humanitarian Foundation provided 145 tonnes of food aid to those affected by famine in the Horn of Africa, and the UAE Cabinet offered emergency aid worth $100,000 to those affected people by an earthquake that hit Guatemala. Sheikh Zayed keenly supported international and Islamic organisations, and he donated $50,000 after the establishment of the Union to support the activities of the United Nations Children’s Fund, UNICEF. The UAE donated $424,000 to the United Nations Development Programme, UNDP, $100,000 to UNICEF, and $54,000 to the United Nations Refugee Agency, UNHCR. Sheikh Zayed also increased the capital of the Abu Dhabi Fund for Arab Economic Development to $500 million. In 1974, the UAE provided 10 million Islamic Dinars to the Islamic Development Bank and presented an interest-free loan to the United Nations Educational, Scientific and Cultural Organisation, UNESCO, worth $2.4 million. In 1982, the Abu Dhabi Fund for Development supported the Senegal River Basin Organisation with a loan of AED259 million.